All prices include return postage. Medium Duty Lister Star Clipper. 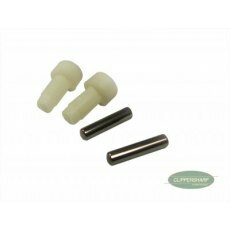 Small white plastic pegs with metal pin insets that stabilise the blades. These wear over time and need to be replaced to maintain a level cutting action. 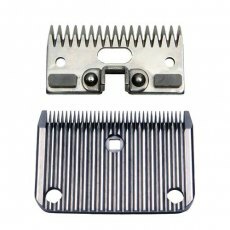 Blades do not cut correctly if these are worn. Can be fitted yourself and comes with instructions to show you how. 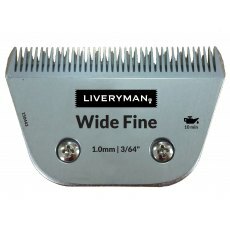 The Liveryman Harmony wide fine clipper blade leaves 1.0 mm of hair (the same as the old 10 wide fine). 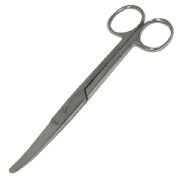 This blade is suitable for the Liveryman Harmony, Lister Libretto and any other machine that takes the A5 snap-on blade system. 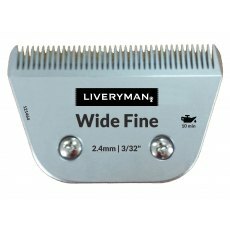 The Liveryman wide fine clipper blade has a 64mm wide cutting stroke. 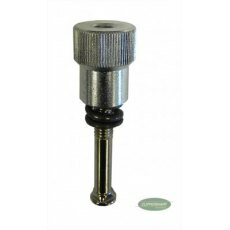 Lister fine (A2F) plastic socket blades that leave 1.4mm of hair These plastic socket blades are only suitable for medium duty machines, examples include the Lister: Star, Neon, Stablemate, Showman and Liberty. If you are unsure about the type of blade you require, please don't hesitate to contact us or head over to our Learning Portal. The Solar Mate ArenaLight is the perfect solution to illuminate your outdoor school, flood light your car park, or paddocks! This all-in-one solar floodlighting solution can deliver an impressive 1000 lumens for up to six hours per 24 hours, with a 2 year warranty upon purchase. If payment is made by BACS for 6 or more lights, we will send your lights out to you FREE OF CHARGE! Please call our office on: 01823 681076 for more information. 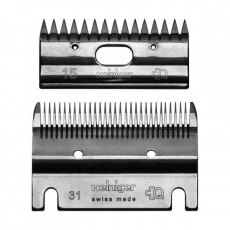 Heiniger standard clipper blades that leave 2-3mm of hair. If you are unsure about the type of blade you require, please don't hesitate to contact us or head over to our Learning Portal. 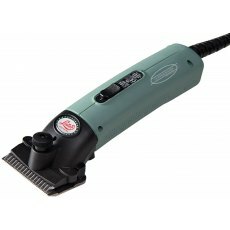 The Liveryman Classic spare trimmer blade fits on to the Liveryman Classic Trimmer and has a blade adjustment lever, to enable blending in of trimming to an existing clip, or for coping with different lengths of coats. 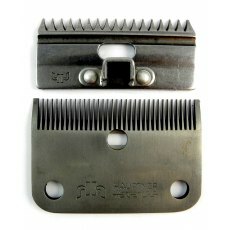 This is a disposable blade and has a ceramic top blade which ensures longer life/usage. 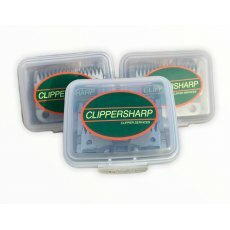 Hauptner standard clipper blades that leave 2-3mm of hair. 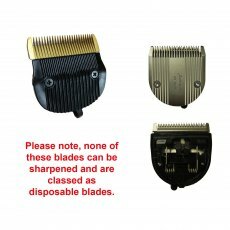 Blade identification numbers: (Top) Cutter - 86833 & (Bottom) Comb - 86872 If you are unsure about the type of blade you require, please don't hesitate to contact us or head over to our Learning Portal. 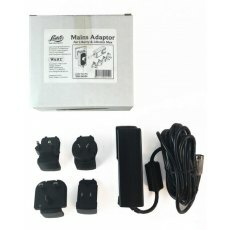 The Lister mains adaptor is a versatile accessory that allows its compatible machines to be run off the mains by transforming mains power to 12 volt DC. 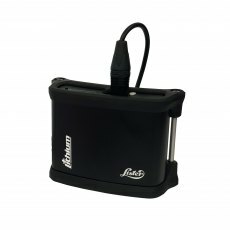 Compatible Machines: Lister Liberty Lithium Lister Liberty Lister Showman Lister Libretto The mains adaptor also includes 4 different plug adaptors. Livermyan Medium (A2) blades that leave ~2.3mm of hair. Compatible with most Liveryman, Wolseley and Liscop machines. If you are unsure about the type of blade you require, please don't hesitate to contact us or head over to our Learning Portal. 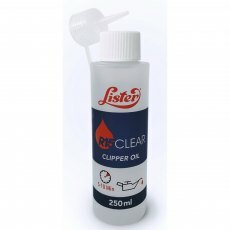 Lister medium (A2) plastic socket blades that leave 2.5mm of hair These plastic socket blades are only suitable for medium duty machines, examples include the Lister: Star, Neon, Stablemate, Showman and Liberty. If you are unsure about the type of blade you require, please don't hesitate to contact us or head over to our Learning Portal. Replacement blade for the Wolseley Skylark trimmer. 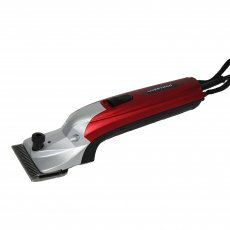 This ceramic blade is suitable for partial pet grooming and horse trimming. The Wolseley Skylark blade has a cutting length of 0.5mm and a blade width of 38mm. 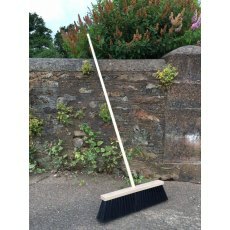 Fits to the Wolseley Skylark trimmer. Disposable. 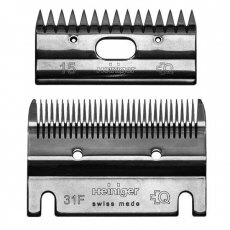 Heiniger fine clipper blades that leave 1-2mm of hair. If you are unsure about the type of blade you require, please don't hesitate to contact us or head over to our Learning Portal. Designed for Lister Liberty / Showman / Libretto Includes battery, charger, convertor for using with the original liberty (if required) and belt. 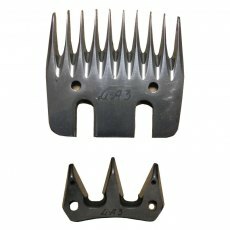 Lister medium (A2) metal socket blades that leave 2.5mm of hair These metal socket blades are suited for high-load applications and can be used on heavy duty and medium duty machines. 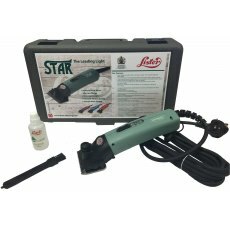 Please note, if you have a medium duty machine including the Lister: Star, Neon, Liberty, Stablemate and Showman, plastic socket blades are also compatible with your clipper and will help it to run quieter. If you are unsure about the type of blade you require, please don't hesitate to contact us or head over to our Learning Portal. 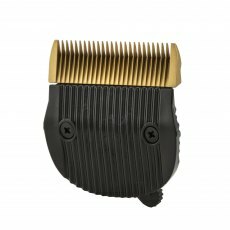 The Liveryman 10 wide medium clipper blade leaves 2.4mm of hair. 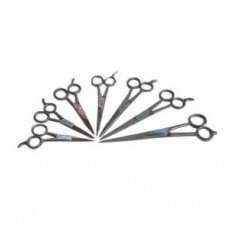 This blade is suitable for the Liveryman Harmony, Lister Libretto, Wahl Artiko, Wahl Avalon and any other machine that takes the A5 Snap-on blade system. 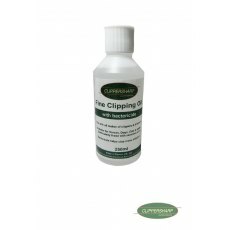 The Liveryman wide medium clipper blade has a 64mm wide cutting stroke. 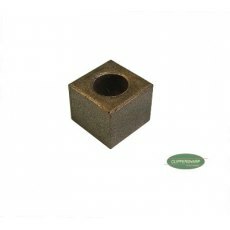 Drive block compatible with all Heiniger machines.This part should be replaced every season to ensure you get the best results from your clipper! 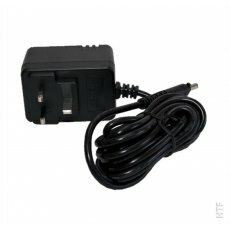 Can be utilised as a charger or power supply unit. 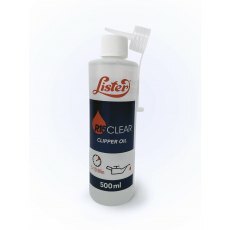 Compatible with the Liveryman Harmony clipper only and not the Liveryman Harmony Plus. 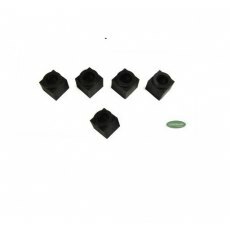 Pack of 5 Hauptner drive blocks, compatible with all hauptner machines. 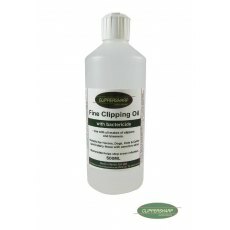 These should be replaced every 4 clips to ensure you get the best results from your clipper! 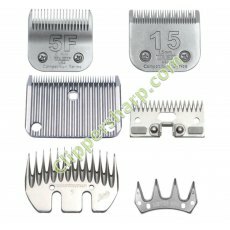 Heiniger coarse clipper blades that leave 3-4mm of hair. If you are unsure about the type of blade you require, please don't hesitate to contact us or head over to our Learning Portal. 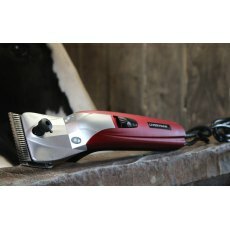 The Liveryman Harmony Plus is categorised as a trimmer or light duty clipper and is the perfect machine for nervous or young horses. 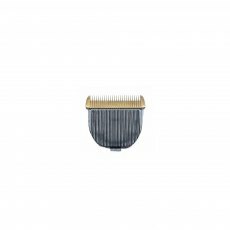 Lister coarse (CA2) metal socket blades that leave 2.5mm of hair If you are unsure about the type of blade you require, please don't hesitate to contact us or head over to our Learning Portal. Liveryman Classic Trimmer. Very quiet with a powerful motor. 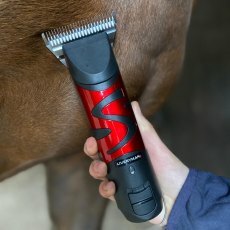 Oster No 10 Blade is a popular blade for horse and dog grooming and is great for clipping tummy & genital area, face on poodles, Cockers and Terriers, and most cat clippings. 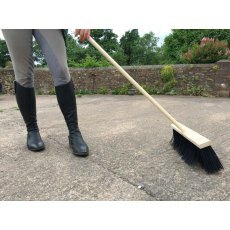 Also used for clipping horses around fidley areas and legs leaving a clean finish. 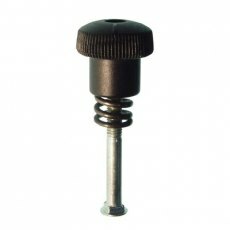 Suitable for all machines taking the A5 snap on system. 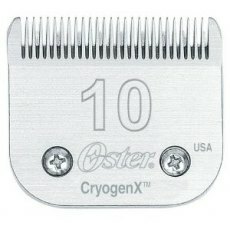 The Oster No 10 clipper blade leaves 1.5mm of hair on the animal. 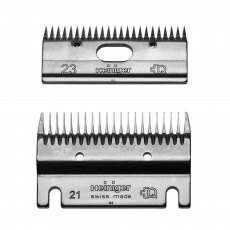 Lister fine (A2F) metal socket blades that leave 1.4mm of hair These metal socket blades are suited for high-load applications and can be used on heavy duty and medium duty machines including the Lister: Star, Neon, Liberty, Stablemate and Showman. 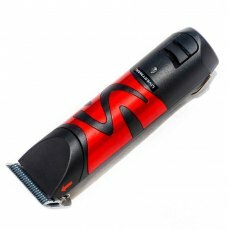 Note, plastic socket blades are also compatible with these clippers and will help it to run quieter. If you are unsure about the type of blade you require, please don't hesitate to contact us or head over to our Learning Portal. Set includes nut, bolt and spring. 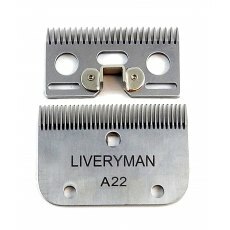 Liveryman Fine (A22) Blades that leave ~1.2mm of hair. Compatible with most Liveryman, Wolseley and Liscop machines. If you are unsure about the type of blade you require, please don't hesitate to contact us or head over to our Learning Portal.